There are multiple reasons why people choose to become vegetarian (or even vegan). Some people do it for just one reason (for example, some people do it to protect their health), while others do it for varied reasons. Here are four reasons why people make this choice (and why other people might decide to make this lifestyle change now). 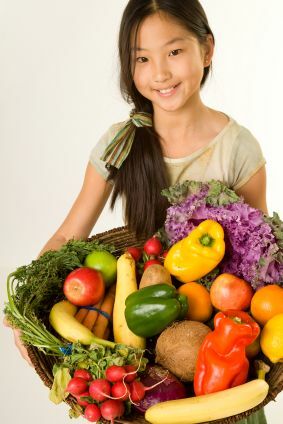 Health: Many people choose to go vegetarian or vegan for the health benefits this lifestyle has to offer. While it is possible for a vegan to eat unhealthy foods (such as eating foods made with trans fats or foods with sugar and salt), by and large most vegans and vegetarians have healthier diets. It isn’t possible to get fiber through meat or dairy products, but vegetarians usually eat lots more fiber than their meat-eating counterparts. Furthermore, cholesterol comes from eating animal products, and people who eat less or no animal-based foods will benefit from this diet. Finally, overall, vegetarians and especially vegans usually weigh less than people who eat meat. Environment: There are several ways in which a vegetarian (and especially a vegan) diet protects the environment. Excessive amounts of water are used in raising beef and other livestock, water that could be used for other purposes. Furthermore, cattle that are raised for consumption produce large amounts of methane, and methane is a greenhouse gas that contributes to global warming. Meat-eating diets also indirectly contribute to deforestation: land is cleared for either the purpose of raising cattle or for growing grain for said cattle. Many people feel good about going vegetarian when they know what they’re doing for the environment. Ethical Reasons: Still other vegetarians and vegans choose to adopt a meatless lifestyle because they care for animals. Many people don’t want to eat something that had to die just so they could be nourished; in addition, vegans don’t want any animal exploited for any reason, and they often equate eating animal products (or wearing things made from animals, for example) to enslavement. Global Food Shortage: As was mentioned earlier, raising cattle requires massive amounts of water that could be used elsewhere; more than that, though, the amount of grain grown to feed cattle could be used to feed starving nations. According to The Vegan Society, more than one-third of the grain grown worldwide is fed to animals. Imagine how many people those grains could feed. There are even more reasons why people choose a meatless lifestyle. While many people resist removing meat (or all animal products) from their diet, just these four reasons show why people should strongly consider making these dietary changes – for their health, the environment, their conscience, and the global community.